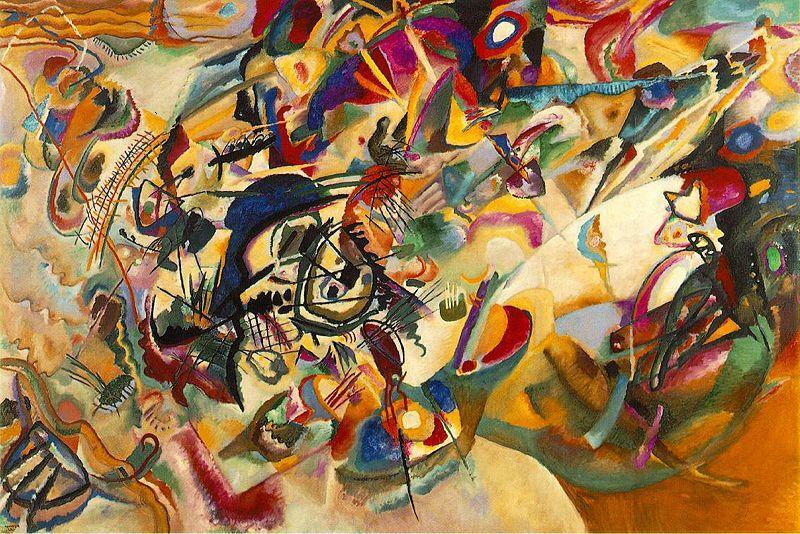 In 1916, in an essay vaguely titled "On the Artist," the painter Wassily Kandinsky provided a precise and thorough analysis of the difference between conceptual and experimental artists. Proposing to provide clarity in a turbulent time for art, Kandinsky pointed out that the common distinction between "modern" and "old-fashioned" artists was not a useful one, because the division changed with every new fad. He argued that what was needed was an enduring taxonomy, based on the recognition that "through the whole history of art two kinds of talents and two different missions are simultaneously at work." 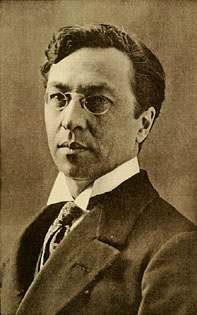 Kandinsky in 1913. All images courtesy of Wikimedia Commons. The virtuoso has a brilliant, versatile talent that is extremely sensitive to every impression, reacts very strongly to everything beautiful, and with the greatest skill and ease develops in many directions -- often completely different, sometimes contradictory. Unable to create in isolation, he needs outside influence...The virtuosos form "schools"...Such artists are like starlings who do not know a song of their own, but imitate more or less well that of the nightingale. 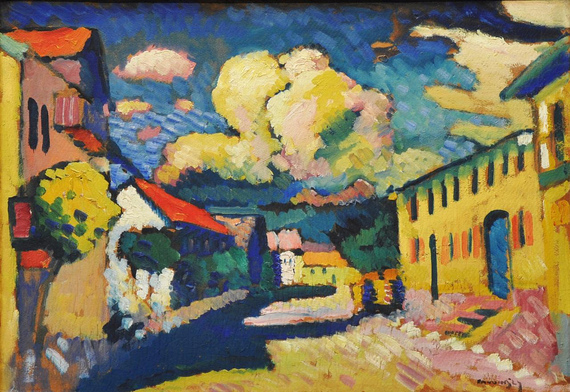 A Village Street (1908). All works by Wassily Kandinsky. The creative artist comes into the world with his own soul's dream. The justification for his existence is the materialization of this dream. His whole talent exists merely for this goal alone. Therefore, it is stubborn, seemingly unpliable, adverse to impressions, does not let itself be carried away by the trends of the day, stands apart, is misunderstood and underestimated, and is initially overlooked. Such artists are often bad students in school, do not want to obey the teachers, often fail their exams, and are considered less talented even by their friends. They see other art and everything else around them with their own eyes. When they speak with the help of nature, they do so in their own way, and even here cannot conform to the currently accepted "correct principle." Thus, in the beginning of their careers and often for many, many years, they are considered "second class" artists. The creator of the new walks straight ahead on his own difficult path. When later on the art historian looks back at the artist's career, he sees a straight line. He sees that from the beginning the line and the color remain the same, and that during the course of the work they develop, purify, concentrate, and are brought to perfection. It is clear that Kandinsky's brilliant, versatile, protean, precocious, imitative and ultimately superficial virtuoso is the artist I have called conceptual, while his stubborn, individualistic, single-minded, persistent, original, late blooming and eventually triumphant creative artist is the experimental innovator. Kandinsky did not categorize individual artists in this 1916 article, but it is not difficult to infer some of his assignments from earlier writings. So for example in his celebrated book of 1912, On the Spiritual in Art, he described Cézanne as "the seeker after new laws of form," who had "the gift of seeing inner life everywhere." In contrast, he described Picasso as "led on always by the need for self-expression, often driven wildly onward," making frequent abrupt and radical changes of style that baffled even his "incredibly numerous followers." In 1916, the experimental Kandinsky was living in Russia, where he was overshadowed by the conceptual Kazimir Malevich and his many followers, and it is not difficult to see his comment that virtuosos formed schools as a bitter reference to Suprematism. He would later complain to an interviewer that in Moscow paintings were being made in laboratories. 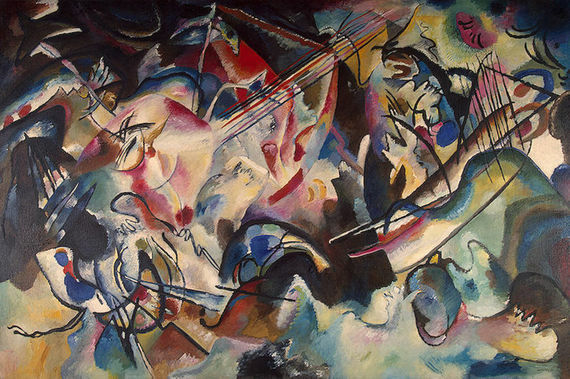 Although he clearly felt neglected, Kandinsky consoled himself in 1916 with the thought that his achievement in pioneering a meaningful and beautiful form of experimental non-representational art would ultimately be greater than that of the very different form of conceptual abstraction created by the more protean and flamboyant Malevich. Thus he concluded that the creative artist "will still realize his dream in one way or another, as long as the dream remains alive within him. Thus unlike the virtuoso, he needs inner development."